Can you guess what the #3 movie at the U.S. box office was on Monday? Come on, take a guess. What’s that? The fifth entry in a long-running 3-D animated film series featuring celebrity voice acting? Nope, it’s not Ice Age: Collision Course. Come on; it was right behind The Secret Life of Pets and Star Trek Beyond. A reboot of a hit 80’s movie featuring some of today’s most popular comedic actresses? No, not Ghostbusters. One more guess. Huh? A 2-D animated film based on a superhero comic book with no A-list stars involved and an R rating that only received a wide release for one night? Wow, good guess. Yes it absolutely was Batman: The Killing Joke. On July 25th, Warner Bros and DC Comics’ latest animated superhero feature made back most of its budget, taking in $3.175 million. This was only one day before its release on digital platforms, meaning there were plenty of people willing to shell out the extra cash for an experience not as readily available to them since 1993 when Batman: Mask of the Phantasm was released in theaters. What could this unprecedented success mean for the future of animated superhero films? Warner still has more projects in its DC Universe Animated Original Movies line planned, such as Justice League Dark, so potentially we could see those get theatrical releases that go over one day. 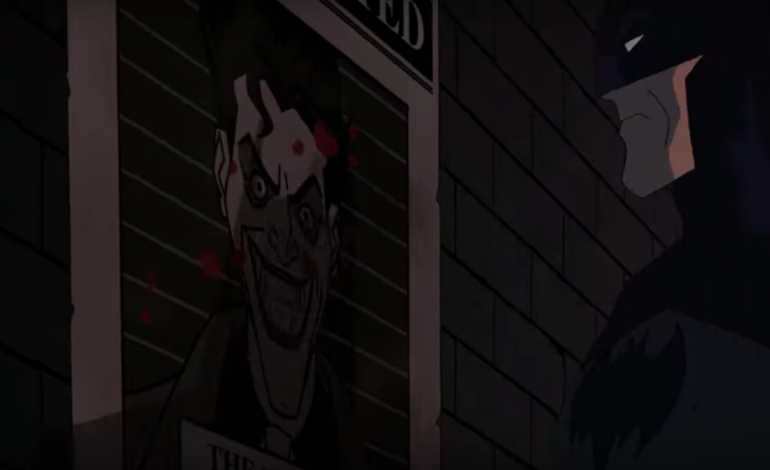 In the meantime you can check out our review of The Killing Joke and buy the movie on iTunes or wherever you get your digital media, or wait for its physical release on August 2nd.